*Please do not order this item ~ This is an info only listing, please email [email protected] with your requirements so we can provide you with a quote** Can't find what you are after? We may be able to help you with a custom order. 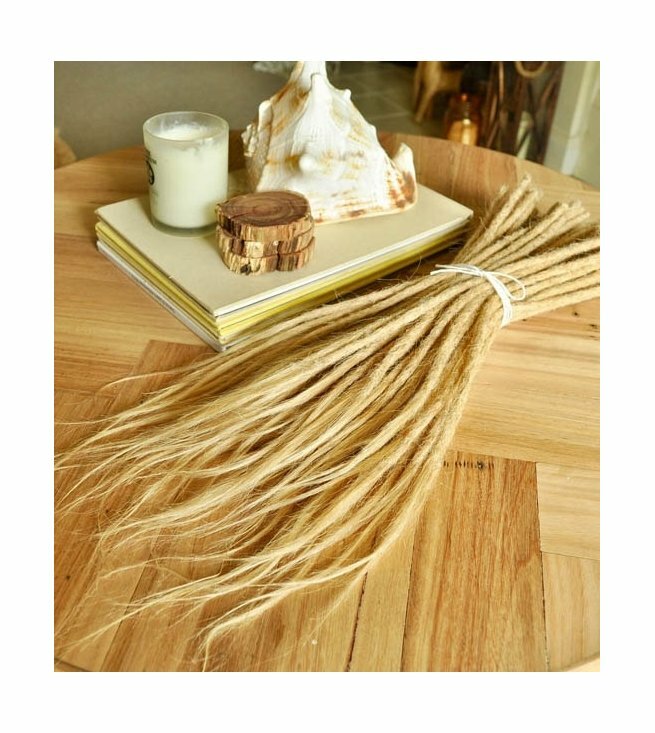 Human Hair dreadlocks are available in over 35 colours and can be made to your exact thickness and length. 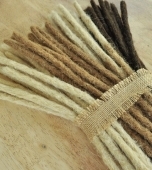 A minium order quantity of 10 dreads which are the same colour, length and thickness apply. If you would like a quote, please email [email protected] with the following information and we will respond within 24 hours. If you accept the quote provided, we will send you an invoice for a 50% non refundable deposit. Once this payment is received we start the process by ordering in the hair. Custom orders may take approximately 3-5 weeks to make but we will confirm this when we receive your enquiry. Upon completion, we will then invoice you for the remaining 50% plus shipping. The quality of our crocheted extensions are exceptional. They are tightly crocheted without any wax, glues or other products. 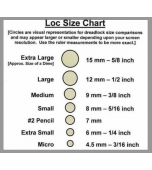 Often customers will start by ordering just 3 of the premade human hair dreads and often decide to go ahead with custom order after seeing the quality. If you are having trouble zooming in and viewing the colour wheel, please email [email protected] and we will email you the high resolution image for a clearer view. You are also welcome to send through a photo of your own hair so we can make a recommendation on the colour. Please note, the colour choice, even when a recommendation is given, is ultimately your responsibility. Being Human Hair, these dreads can be dyed however, please be aware that the hair goes through a chemical sanitation process and this will affect the colour results and how well the colours hold. We therefore, recommend against dying or if you choose to do so, patch test first to ensure you are happy with the results. Custom orders can not be returned for a refund. Please choose colours carefully. 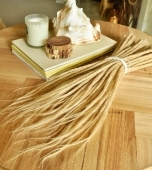 For more information on Extensions visit our Dreadlock Extensions FAQ page.